The out-going President has since moved on from his defeat in the Presidential election and has mapped out his post-presidency plans which includes playing the role of a global statesman by taking advantage of the huge boost in his ratings as a result of his conceding defeat by calling his opponent, Muhammadu Buhari before the final tally of the election results. “The President has not been a free man in the last 16 years. He is savouring his freedom. He has been working in the last 16 years from Deputy Governor, to Governor, to Vice-president and eventually the President of Nigeria with all the complexities. He is enjoying his freedom again. His itinerary as revealed include a tour of some African countries, earthquake devasted Nepal, a trip he is said to have planned before the earthquake and a medical check-up in Germany. “After the handover, he would rest for a week or two in his village, Otuoke after which he would return to Abuja to spend another week or two. “Thereafter, he would embark on some international trips to Mozambique, Nepal and South Africa. He is also expected to travel to Germany for medical checkup,” said the source. 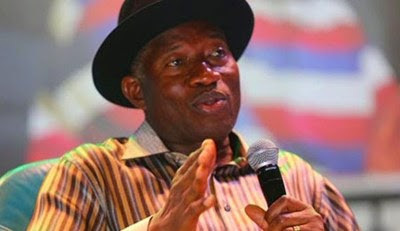 It was also gathered that Jonathan plans to document his experience in government, challenges and triumph. The source said the President would commence work on the book when he returns from the trip abroad. It was also gathered that when Jonathan returns from abroad, the rebuilding of his party, the Peoples Democratic Party will be top on his agenda. The President is also expected to devote some of his time to global peace initiatives using his experience as a model. “You should expect to see him in some conflict areas around the world trying to find solutions to the problems there,” said the source. He will follow the example of other world leaders delivering lectures around the world.